This cemetery is quite large with about 2000 graves. There is a fence on 3 sides. The part facing 18th street has steel bars and brick pillars. There are houses on 2 sides of the cemetery. The Dickey Funeral Home is on the south side of the street. There are stones dating back into the 1880's at least. William Foreman I was buried in the Plano Mutual Cemetery in 1856. Many of the very early stones seem to have disappeared. The cemetery is well taken care of and is still in use. This was near the original location of the town of Plano. The William Foreman family came to the area around 1850. They started a gristmill, a distillery, a sawmill, and a cooperage on a small stream nearby. The first post office for the area was out of their home. The town later moved south to be near the railroad. The Foreman family is the one who gave the land for the cemetery. There are several deeds pertaining to this cemetery. 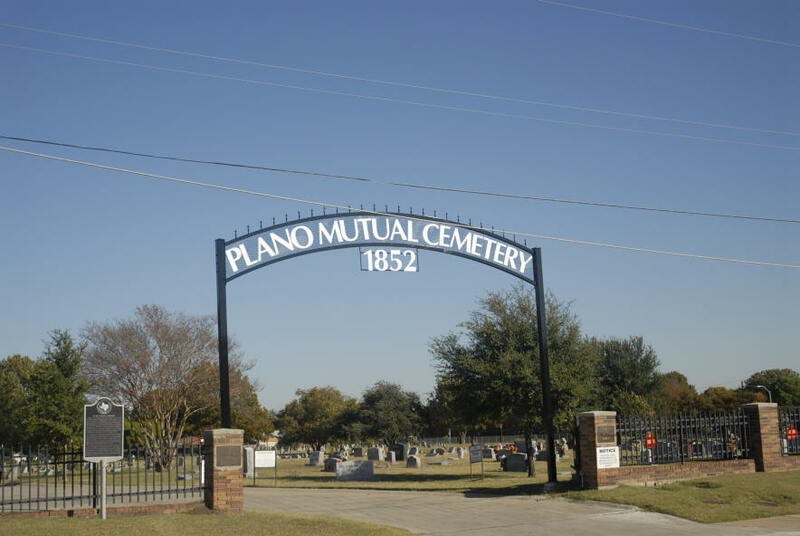 The deed listed in Vol 145, p 433, made in 1907, shows that the cemetery was divided into sections for the Masons, International Order of Odd Fellows, Woodmen of the World, Knights of Pythias, and the Mutual Cemetery Association of Plano. Those sections are no longer evident. 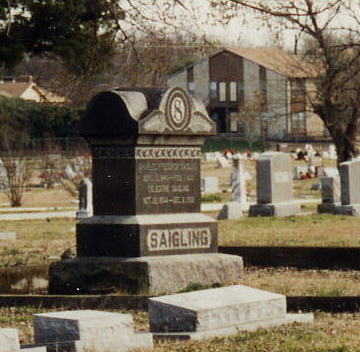 The old part of the cemetery was on the northeast. There is a later deed for the Ladies Mutual Cemetery Association. 1850 AND BOUGHT 640 ACRES IN 1851 FROM SANFORD BECK. THE EARLIEST GRAVES ARE LOCATED ON FORMAN LAND. TERY DURING THEIR NEARLY 40 YEARS TENURE.